China and Japan have had uneasy ties since World War II over the invasion of Japanese Army and its alleged large-scale atrocities. BEIJING: Prime Minister Shinzo Abe will pay a three-day visit to China from October 25, the first by a Japanese leader in seven years, the two countries announced Friday, signalling warming of ties between the arch rivals. 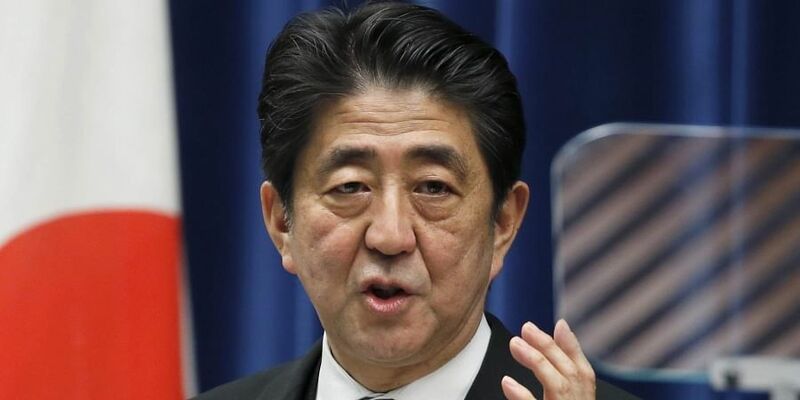 Beijing and Tokyo made simultaneous announcements about Prime Minister Abe's visit which is taking place in the midst of heightening trade, military and political tensions between China and the US. The steady cooling down of tensions in its immediate neighbourhood - first with India with an informal summit between Prime Minister Narendra Modi and President Xi in Wuhan in April and now with Japan - has given rise to speculation that China is bracing for a long-term hostility with the US. In Tokyo, Japan's Chief Cabinet Secretary Yoshihide Suga told the media that Abe's visit will help raise Japan-China ties to a new level through frank talks on bilateral and international issues, including North Korea and promoting cooperation and exchanges in various areas, according to Kyodo news. In Beijing, Chinese Foreign Ministry spokesperson Lu Kang also announced Abe's visit. Lu told the media on Friday that the visit will mark the 40th anniversary of a peace and friendship treaty between the two countries. He said China hoped the visit will lead to enhanced mutual trust, deeper practical cooperation, and new development of bilateral ties. Abe's visit and his talks with Xi are expected to pave the way for moves by the countries to improve their relations with host of initiatives. During his May visit, Li called for joint efforts from China and Japan to improve bilateral relations. Li said good ties were not only beneficial to the two countries but also conducive to the development of global economy and trade, as China and Japan are two major economies of the world. China is engaged in hotly contested territorial disputes in the disputed South China Sea and has differences with Japan in the East China Sea. They are also vital to global trade. China claims almost all of the South China Sea. Vietnam, the Philippines, Malaysia, Brunei and Taiwan have counter claims over the area.